Velvet slippers seemed to be more in than usual in menswear last summer, and I must say I always wanted a pair. 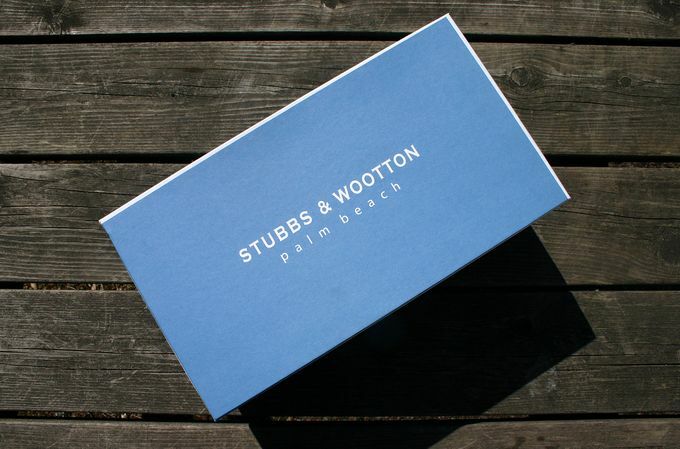 For an unknown reason I was obsessed at getting a pair made by the Palm Beach company Stubbs & Wootton, but the prices were always too high to what I found reasonable for velvet slippers. 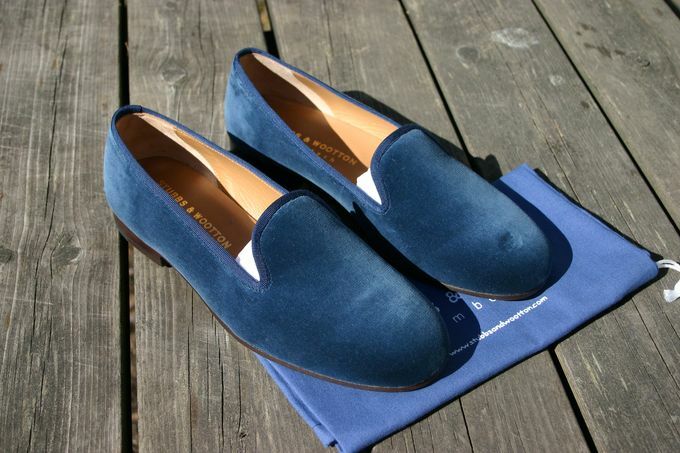 So, when Mr Porter had their S&W slippers down to about 150 Euros (from the usual 350-450 Euros that these usually go for), I couldn't say no and got myself this wonderful pair in blue. I'd actually totally forgotten about them until I dug them out of my winter storage last weekend, but next week's +20 Celsius weather will probably already see them worn the first time. To my disappointment I noticed there is a small defect that shows in some light on the vamp of the left shoe. Too late to return now, and I suppose it will disappear at least partly once the velvet will get some patina. 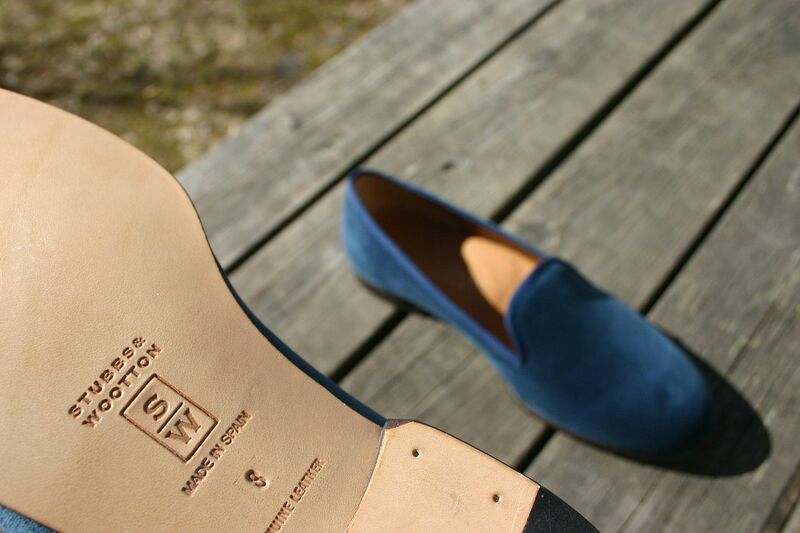 Excluding that one spot though, these shoes have some of the greatest finishing I've seen in shoes. Everything is very clean and seemingly done with extra care. And if someone was wondering what this kind of slippers are good for, it's pretty simple. Any playful sport coat look will do, and different trousers from daddy jeans to various chinos are very much approved companions to these "bad boys".